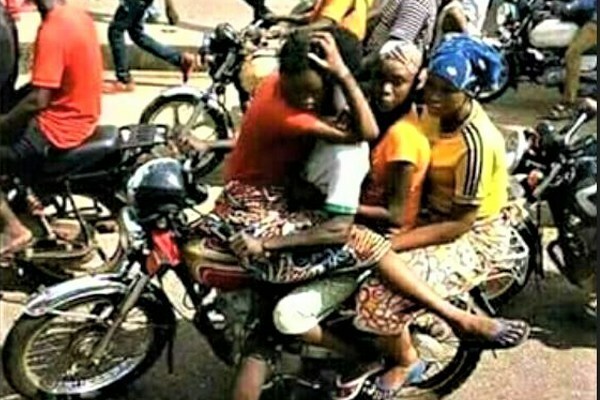 In Nigeria, commercial motorcycles popularly referred to as “Okada” are a necessary evil. Patronizing them are often necessary due to the ease that they provide in order to get commuters to their destination speedily. 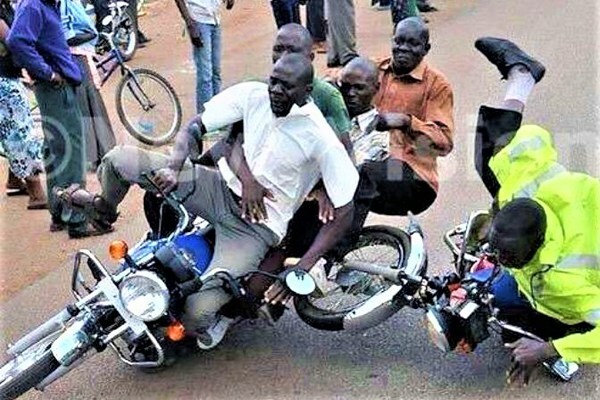 Okada-rides are often dangerous. 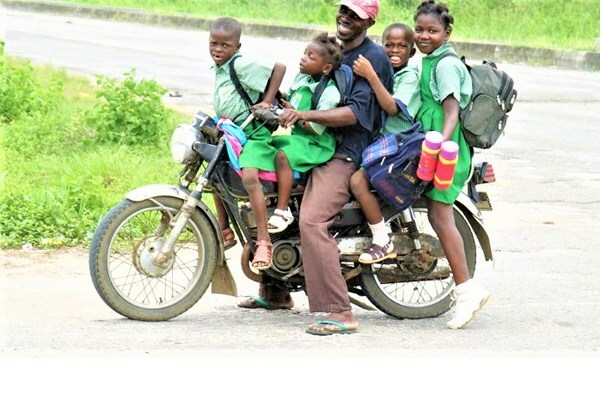 However the need to patronize them is not particularly helped by the fact that so many of our bad road are only accessible by Okada. 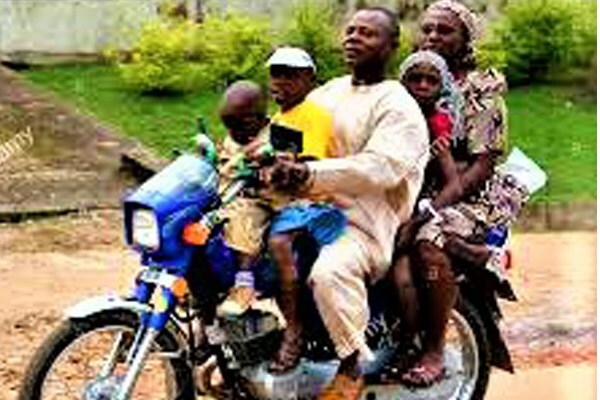 Nonetheless, Okadas have become an essential part of the daily commute of many Nigerians. Okadas are designed to accomodate 2 people at a time – the driver and one passenger. 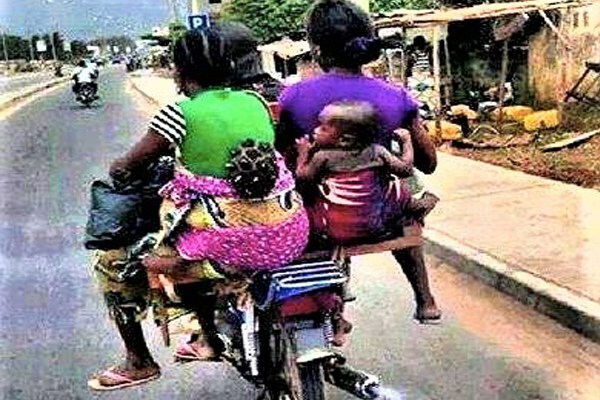 However, sometimes, we come across some sights that seem to take the danger of using an Okada a bit to the extreme. 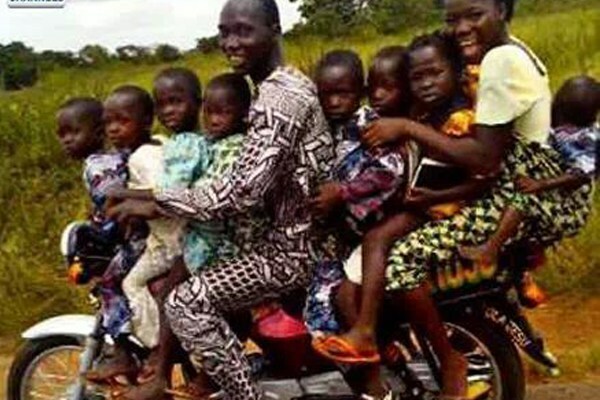 It is the sight of “over-passengered” Okadas. 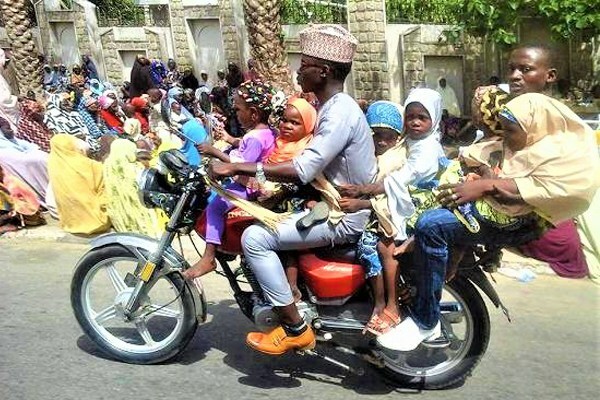 These are sights of some Okadas who exceed capacity of passengers that they were designed to carry at a time. 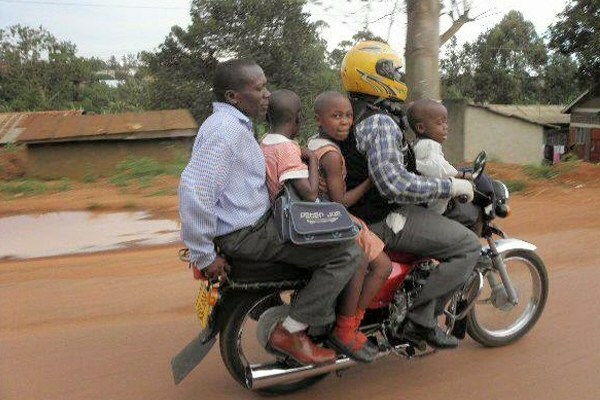 Some times, they exceed the passenger capacity by an extreme number. thereby putting the passenger at great risk. See photos for some instances. Lolz This One Is Too Much…. 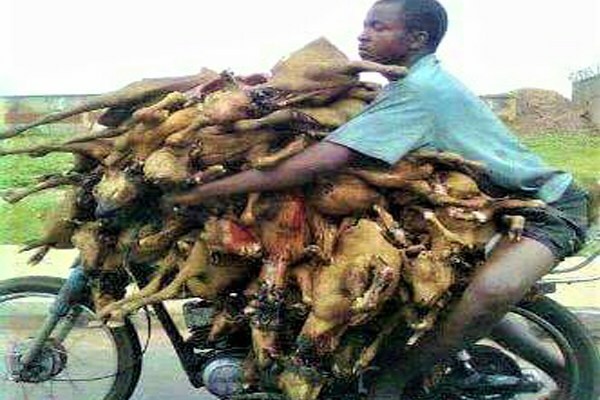 The Okada Will Revenge On The Day Of Judgement Oh! 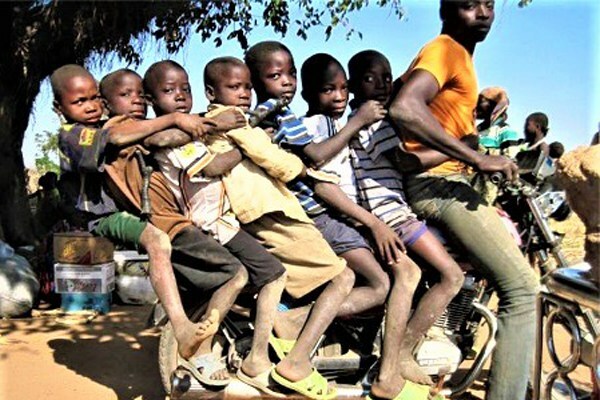 He Supposed To Say THIS IS NIGERIA BIKE ARE SUFFERING NOW!